This is an extended version of the Trove page on Richard Bryne’s pedal collection in the July issue of Bike, which is on newsstands now. To subscribe to the digital edition of the magazine, click here. 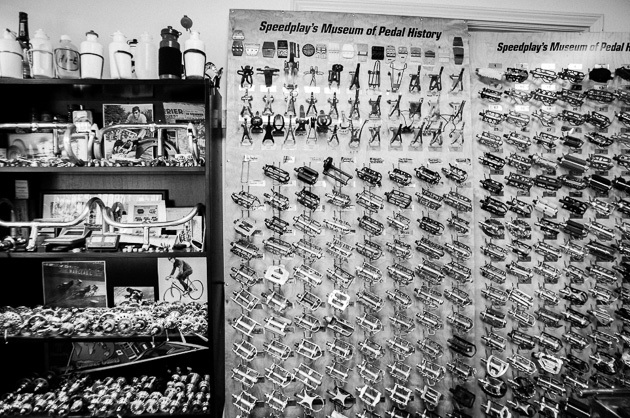 Speedplay founder Richard Bryne is an avid collector of vintage bicycle components, and he’s been amassing a spectacular array of everything from bottle cages and bike bells to rare Cinelli hubs, the earliest brake hood designs, catalogs from the 1800s and original head badges from some of the first European bikes ever made for more than two decades. We’d heard about his pedal wall, which includes 300 rare sets of pedals dating back to 1877, so we paid Bryne a visit at his office in San Diego to check out it for the Trove department page in the July issue of the magazine. We were so blown away by what he showed us that we had to show off some of the other pieces in his collection. 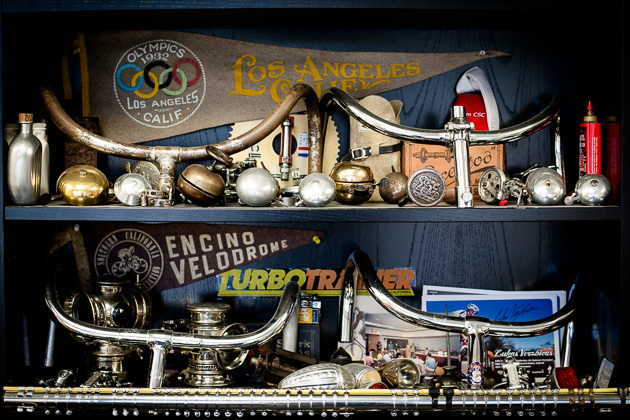 Bryne’s office at the Speedplay headquarters in San Diego doubles as a museum for rare and vintage components. 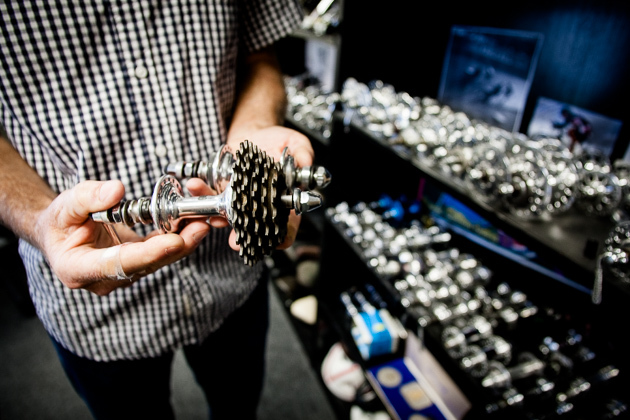 It also houses the largest pedal collection in the world. 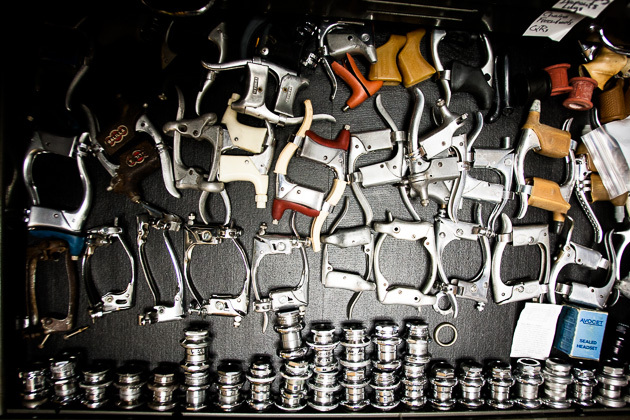 Bryne’s pedal wall holds 300 pairs sets, few of which are actually still in production. 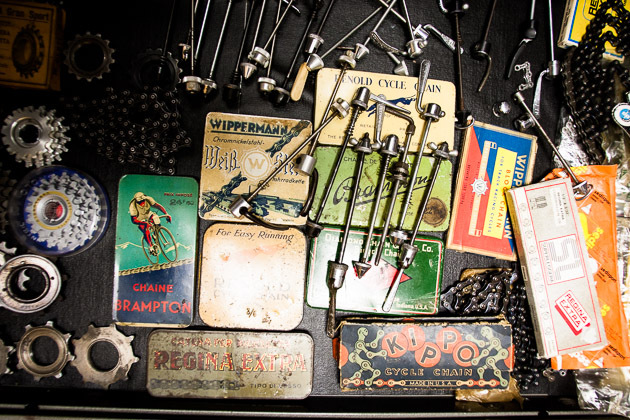 The collection traces the history of the modern pedal going back 150 years. 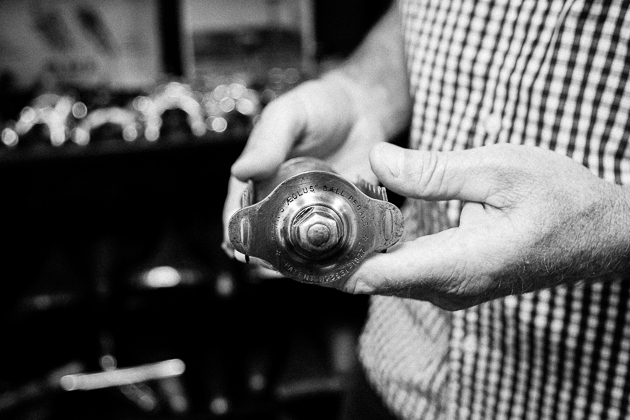 Bryne holds one of his most-prized finds, an 1877 Aeolus, which is the first pedal ever to use ball bearings. Bryne’s brake lever drawer includes a mint-condition set of first-generation Campagnolo levers. Bryne’s stash of chains dates back to the 1940s, and includes great successes like early Wippermanns and Bramptons and failures like the Viking Titanium chain. 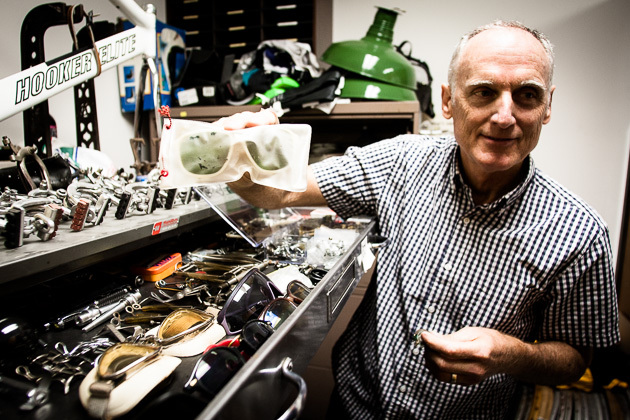 Before cycling-specific sunglasses was the norm, Tour de France organizers issued these Himalaya Super Universal glasses to riders in the 1960s for eye protection during the race. Bryne also has the original, protective plastic sleeve the glasses came in. 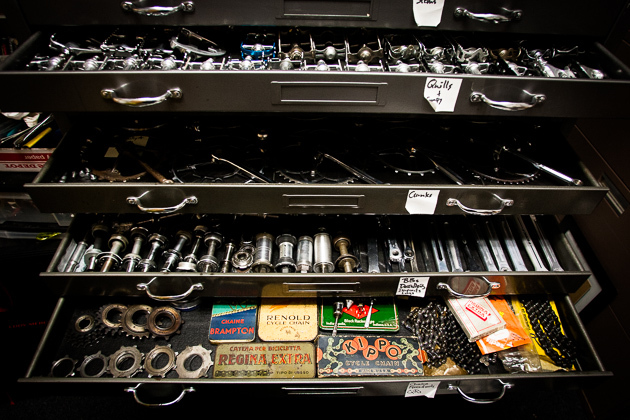 Drawers of neatly organized vintage catalogs, hubs, cranksets and more pedals fill the back of Bryne’s workspace. 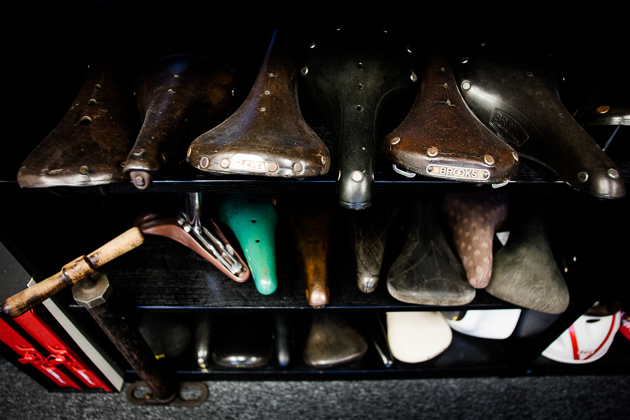 Bryne’s museum surely evokes envy for fans of vintage leather saddles. It includes multiple early Brooks’ B15 and B17 models, handcrafted at the factory in England, where Brooks saddles are still made today. There’s almost nothing cycling related that Bryne does not at least ONE of, including even bicycle bells. 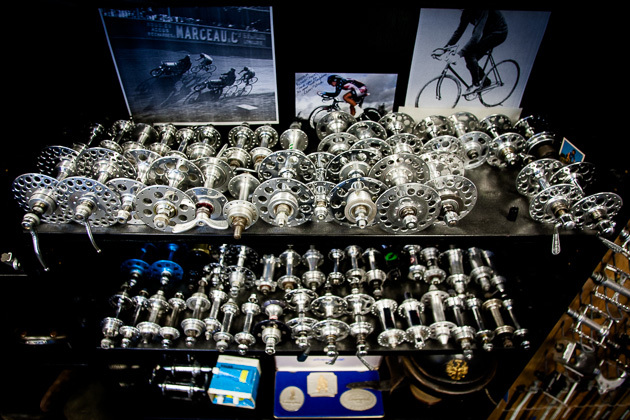 A mere slice of Bryne’s vast vintage hub collection. 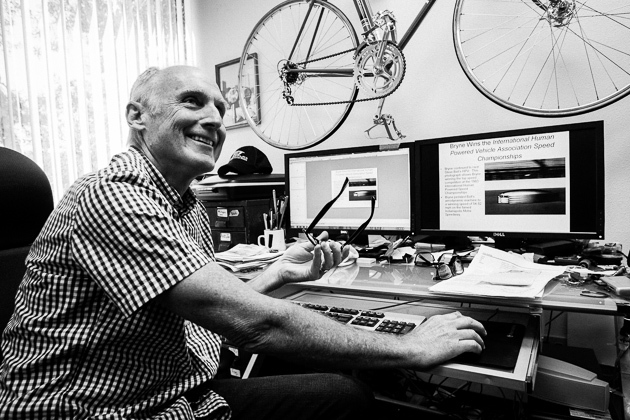 Bryne started collecting pedals around 1991 at about the same time he and his wife Sharon opened Speedplay. 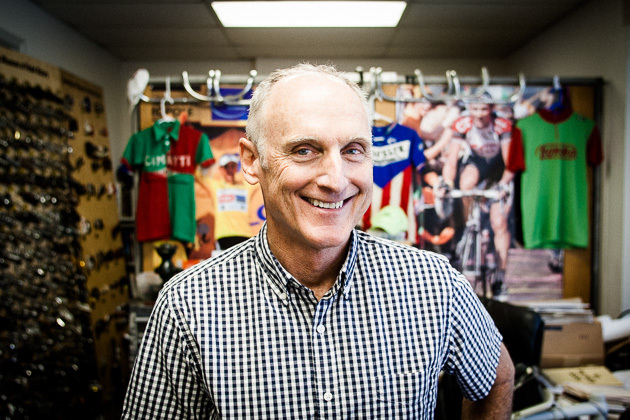 For many years, it was somewhat of an obsession, but he’s slowed recently because he has nearly every pedal of historic significance. Bryne’s museum is not open to the public, but has a robust virtual presence at Speedplay.com.